I thought that everybody knew that Fischer is being hunted by the United States government (not by "a Middle Eastern government") for playing a chess match against Spassky for money in 1992 in violation of the UN Sanctions against Yugoslavia. This is a subject that Dirty Don Schultz, USCF President, should be addressing, instead of fighting his endless wars against those who have made his enemies list. This matter would have been my number one priority had I been elected instead of Schultz. However, knowing Schultz as I do, if he does anything about this, it will be to help the Feds track down Fischer so that they can extradite him and send him to prison. It is obviously ridiculous to have an international arrest warrant out against Fischer merely for playing a few games of chess. Spassky, who also played for money in his match with Fischer, has been sitting comfortably in his home in France and has never had any trouble because of this. Regarding the claim that Fischer owes taxes from his winnings, even US diplomats abroad do not pay US income taxes, if they stay out of the US for long enough. >> >-Is die or live? >> >-Does he afraid to play against actual chess players? >No it would draw the cops to his location I think. >> >-What does he do now? 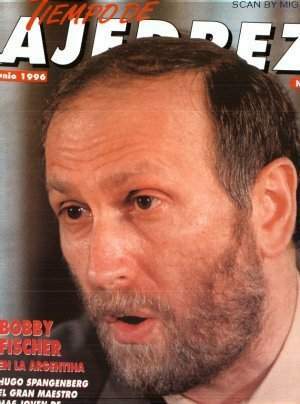 UPDATE: After 27 years of giving almost no interviews with the press, Bobby Fischer has been interviewed on the radio three times. Here are two of those interviews! Here is: The Outrageous Letter which made Bobby Fischer an International Fugitive From Justice.